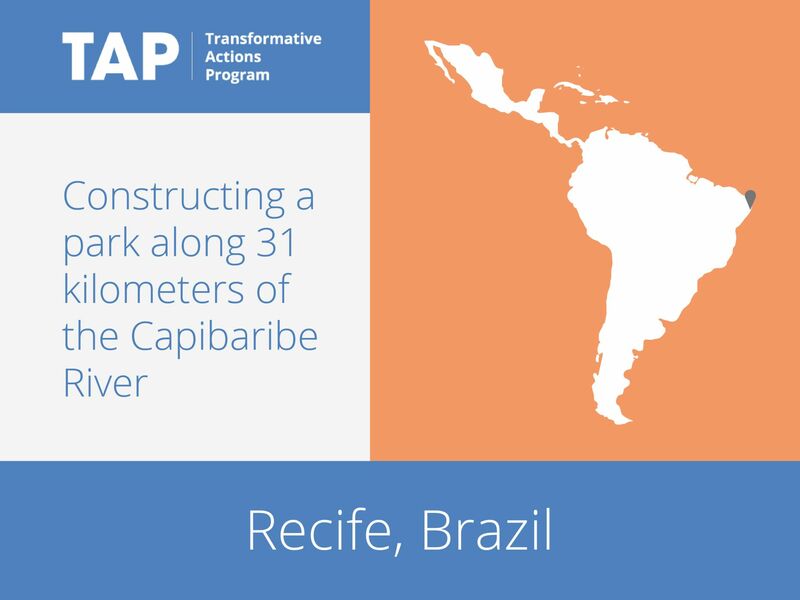 As part of its sustainability plan, Recife is constructing a park along with 31 kilometers of the Capibaribe River, which runs through the city. The development of the park will be coordinated by the Innovation and Research Laboratory for Cities (InCiti), and the city is planning extensive engagement with citizens through workshops, trials, exhibitions and surveys. The park will strengthen natural ecosystems, increase the use of non-motorized transport and further partnerships for other sustainability projects. By engaging citizens, the city will also promote behavioral change. The city hopes to reach around 500,000 people through the Capibaribe Park project. 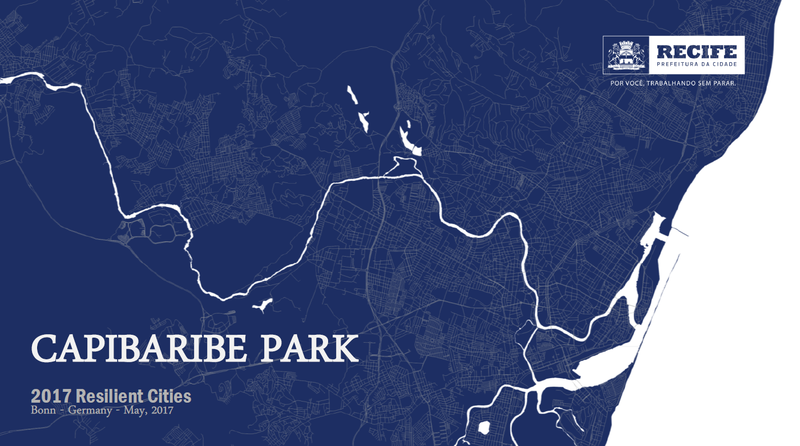 The Capibaribe park will re-establish the city connections and encourage the use of public spaces through integrated uses, generative activities and participatory processes. It is an innovative project with a transdisciplinary nature. It stands out for recognizing the natural systems as structural elements of the city of Recife and integrating it to the built infrastructure, with the objective of improving inclusively social and urban environment conditions. This integration legitimizes the importance of public participation in the project development process and respects the several vocational aspects of the different territories. The project will have an effect on 1/3 of the city’s population, reaching the whole population by 2037, when the city celebrates 500 years of existence. The innovative component of the project lies in its new direction of urban design and development in the city, through the treatment of 30 kilometers of the river Capibaribe, while at the same time being aligned with the current public policies at all levels of government – Federal, State and Municipal. The park will cross 35 neighborhoods and benefit around 400 thousand people with the implementation of pedestrian walkways, cycle paths as well as contemplation and leisure areas. LED lamps will be installed and the use of non-motorized transportation will be promoted, as well as being an important element of connection with several kinds of public and private transport. The park will also reforest the area with an estimate of 200 thousand trees. All of the described actions will mitigate the emissions of greenhouse gases. Throughout the park there will be connections between existing environmental units (parks and municipal squares) and important cultural and educational facilities, such as the State Museum, the Joaquim Nabuco Foundation, the Pernambuco Academy of Letters, the House of Culture and the Maurício de Nassau University, among others. Finally, the project will bring back an outstanding landscape heritage as a living element of the city and its population.